The latest (last?) Swancon progress report is online, including the current version of the program. Anyway, I said yes, and I was pleased to see the panel listed in the program. Panelists: Russell Farr, Matthew Reilly, Angela Challis and myself. By the way, "Professional promotion" is the kind where you don't need a thick skin and lots of very forgiving friends. I was born in the UK in 1967, and at the time my parents lived above a shop in the West Wickham high street. 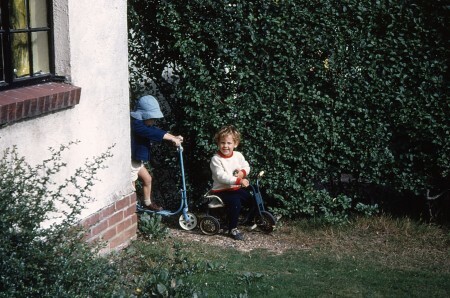 After I turned two we moved to a detached two-storey house in a quiet street near the station. 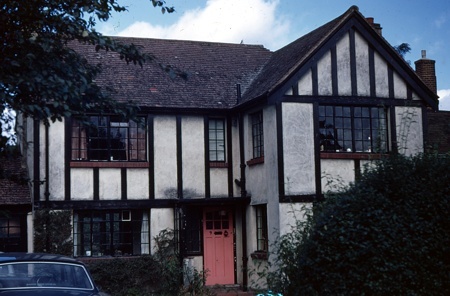 It had an enormous garden, gurgly radiators powered by a boiler, and was the site of my first Goodies and Doctor Who experiences way back in 1971 or 72. When I was eight we shifted to Spain, but my parents kept the UK house and rented it out. 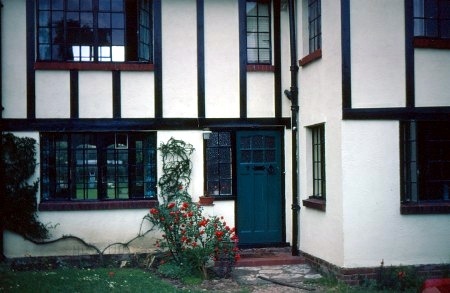 In 1983 we moved back in for six months, before selling up and shifting to Australia. An interesting fact: Before my parents bought this house it belonged to an english actress who - I believe - appeared in one of the early Bond movies. I remember my dad mentioning it in the 70's, so I'll have to ask him who it was next time I see him. My dad laid that curved driveway, and there used to be neat box hedges below the ground floor windows. I distinctly remember water-bombing my best mate's sister through those windows above the entrance, and I also remember sitting at the window top-right at around 5AM in December 1981. We'd just arrived in England after a 3-day drive from Spain, via France and Andorra, and I was listening to english voices on my brand new walkman clone - in stereo, no less - whilst the smell of hot paint wafted up from the radiator burning my knees. Outside, yellow streetlight glistened off the rain-speckled windscreens of cars parked in the road below. Everything was different and yet familiar: I was used to the heat of Spain, spanish radio, marble floors instead of carpets, single storey whitewashed houses with thick walls, sun-warped wooden window frames and elaborate metal grilles instead of mock-tudor and small panes of glass in steel frames. And yet, I'd grown up in the UK, in that house, and so I was home. If you think those two conflicting lives were confusing enough, throw in 20+ years living in Australia. It's hot, but we have carpets. Window frames are aluminium. Winter is in July, Summer in December. They speak English but the architecture and weather is mediterranean. I only hope my kids are storing their own special memories of our current house. 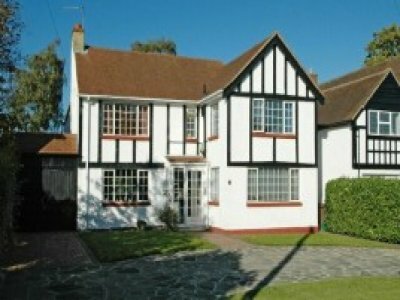 Back to West Wickham: at UKP679,000 (Approx A$1.6m or US$1.26m), the old house is selling for almost ten times the price we sold it for in '83, and exactly 68 times what my parents paid for it in 1969/70. 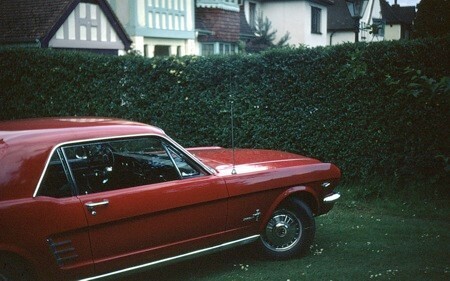 This one is July 1971, 12 months after moving in. Same day, right hand side of the house. That's me in the white jumper and Paul Mycroft in blue. I was almost four years old in that shot. 12 months earlier - 1970, same house as purchased. 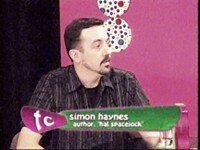 Last week I was interviewed about Hal Spacejock for the local TV show, 'The Couch'. It was an interesting experience - my degree is in Film & Television, but that only prepares you for life behind the camera, not sitting in front of it whilst trying to give semi-intelligent answers to the interviewer's questions. What can I wear that doesn't clash with lime or pink? Anyway, it came out okay and the station ran a promo giving away five copies of Hal Spacejock Just Desserts. The funny thing was, sitting in the hot seat the interview seemed to last 20 seconds, and I thought the host, Fred Mafrica, wound it up really fast because I'd made a mess of it. It was only when I watched the interview today for the first time that I realised I sat there and answered questions for at least five or six minutes. Most of them semi-intelligently, too! Last night (March 1st) was the Westbooks 'night with our stars' event. Twenty Western Australian authors and illustrators were invited to address the 150-strong crowd of teachers, school librarians and publishing industry professionals, with each presenter given a few minutes to discuss their latest work. So, thanks to Westbooks and congratulations to all the authors present. It was a fun evening, and I'm looking forward to next year. Complete list of authors in order of appearance: Raewyn Caisley*, Simon Haynes, Kirri Somerville, Julia Lawrinson, Broome Public Library, Andrew Lansdown, Guundie Kuchling, Anne Morgan, Kate McCaffrey, Diana Chase, Joy & Mike Lefroy, Steve Hawke, Louise Schofield, Aleisha Zappia, Sally Murphy*, Liliana Stafford & Sophia Zielinski, Katy Watson-Kell, Dianne Wolfer and Ken Spillman.